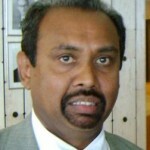 Lawrence Thilagar and his colleagues were shot dead and ground in a concrete (cement) mixer! Slander Originated By External Ministry Of Sri Lanka! Why is Sri Lanka under the scrutiny of the International Community today? Some will say because of war crimes. Others will say genocide and crimes against humanity, etc. But having been involved in Human Rights and International lobbying for decades, we say that aggressive and racist elements within Sri Lanka’s Ministry of External Affairs, who play at double standards and duplicity, are also the cause of the international spotlight. We have seen many Presidents, Prime Ministers, Ministers of External Affairs and others come and go. Their agenda is always the same but each regime has its own approach. Change of regime or change of cabinet, is not going to do any good for victims. The change should take place in the hearts and minds of Sinhala Buddhist Chauvinists. On 19 January 2015, I wrote an article titled, “International investigation on Sri Lanka should continue”. Comments about it were mostly written under pseudonyms. In that article, I related my personal experience in the UN Human Rights Forums in Geneva, especially with the present Governor of the Northern Provincial Council, G. Palihakkara who was the first secretary and the ambassador of Sri Lanka in Geneva. Also he was the member of the magic Lessons Learnt and Reconciliation Commission – LLRC. In fact, he was former President Rajapaksa’s original choice for the Governor post and the present President Sirisena validated it. Knowing the racist approach and activities of Palihakkara and his colleagues in the UN, it was my duty to tell the truth to the public. In fact, I gave only brief details. It is to be noted that during Palihakkara’s period in Geneva, there was a so-called newspaper (The Archipelago) published in Colombo, in which many fictional stories were written about me, my colleagues and our organisation. Even though those writings were not taken seriously, we tried all available avenues to take legal action against this newspaper to set the record straight. We sent letters through lawyers locally and internationally and also reported the matter to the Press Council of Sri Lanka. While Chief Justices find it difficult to seek justice for themselves in Sri Lanka, it was no surprise to us in Europe that it would not be possible for us to find justice or even to receive a reply from the corrupt judiciary in Sri Lanka. In fact, the fictional writings did some good things for us. We are still in action today. With the help of international NGOs, human rights defenders and countries which respect human rights, tireless lobbying brought three consecutive resolutions on Sri Lanka. In other words, their fictional writings never worked on anyone. It only served to please their funders. I’m proud and happy to note that my last article, “International investigation on Sri Lanka should continue” was effective with the new interim regime. The advisor to the President, Jayantha Dhanapala and Minister of External Affairs flew around the globe and also called for a European ambassadors meeting in Colombo. However their meetings didn’t clear doubts about this new interim regime. Feeling highly frustrated, once again they started their fictional writings about me. The same so-called newspaper which wrote fictional articles in the past published a slanderous news item well endorsed by the Ministry of External Affairs of Sri Lanka. So far what have they achieved by slandering me and others? If this newspaper was published in any part of the globe other than Sri Lanka, today I would have been a millionaire! Unfortunately it is published in a country, where the independence of the judiciary is curtailed. How can one find justice where there are political appointees as judges and chief justice in Sri Lanka? Then to satisfy whoever funds him, he says: “Kirubaharan is believed to have spoken for pro-LTTE elements both here and abroad.” Anyone following this correctly can clearly see that they were trying with this whole trick to murder me with their pen and eventually with…..
Whoever knows about the history and activities of the Liberation Tigers of Tamil Eelam – LTTE, (and these have been well documented) will understand who replaced Lawrence Thilagar in 1996 – not as the news item said, in the 80s. If those racist elements and this so-called journalist want to gain knowledge about the LTTE, they can contact KP who is presently in Sri Lanka. Institutional racism is the cause of many problems in Sri Lanka. It’s believed that during his visit to India, the Sri Lankan Minister of External Affairs, Mangala Samaraweera has explained this in depth, to the Prime Minister of India, Mr Modi. The logic of the Sinhala Buddhist Chauvinism is that, “Tamils have no right to tell/write or disclose any truth or reality about any Singhalese”. Such is the modern democracy of any regime in Sri Lanka. This is why the international community has doubts about this interim regime. The “change” that the President’s advisor Jayantha Dhanapala and Mangala Samaraweera are preaching to the international community is, as I said in my previous article, “Old wine in a new bottle”. Slandering not only me but also many others in the past, all originated from the Ministry of External Affairs of Sri Lanka. Racist elements in the Ministry of External Affairs were busy behind the scenes, concocting smears over many decades. I will give two good examples of their activities. 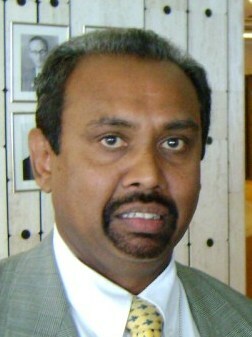 In the past a Tamil lady was appointed as an ambassador to the UN Geneva by Rajapaksa to show the international community that there are Tamils in importance positions. But eventually what happened to her was based purely on Sinhala-Buddhist chauvinism. After her pathetic removal from her ambassadorial position, it took about 2 years for the Ministry of External Affairs to transport her personal belongings. The same thing happened to another popular ambassador in Geneva, who is a Christian (Catholic). Instead of appreciating his ardent task, he was thrown out with insults and humiliation. However, the fictional writing is one of the things that have motivated us to work hard. This type of malicious news item is good for us to use in our lobby. Their idea of diverting our attention from our task is not possible in the 21st century. While we concentrate on our work, we can deal with this type of problem at the same time. We are well equipped with internationally reputed legal experts. The most interesting feature of the news item I refer to, is that it doesn’t deny or find any fault with the points that I raised about Pallihakkara and his colleagues. In fact, the smear against me acknowledges that what I wrote is all true. Rather than replying to the message, they slander the messenger. Another interesting point was that at the end of this mud-slinging news item, it mentions the Tamil National Alliance – TNA. It says that, “The TNA threw its weight behind the opposition presidential candidate Maithiripala Sirisena at the presidential poll. It is also represented in the National Executive Council (NEC) headed by the President Maithiripala”. This writing sends out mixed messages. One is that they seem to understand the consequences of this sort of slandering. They should understand that the TNA is a people’s party and the TNA’s leadership listen to the people. If this is going to be the practice of this interim regime, Tamils in the North and East who brought this new regime into power, can also make them powerless! I personally feel sorry for the so-called journalist who had the courage to endorse this news item with his name. If he is writing about Lawrence Thilagar, being a journalist, does he knows, how terribly Lawrence Thilagar and his colleagues were killed in May 2009? In fact they all were shot dead and ground in a concrete (cement) mixer. If this corrupt journalist wants to know more details regarding these killings, he can contact some Ministers in the present cabinet who know a lot about these matters. Also they have strong evidence and know the witnesses personally. The present interim regime knows very well that war crimes and crimes against humanity were committed by Sri Lanka. But once again, based on Sinhala Buddhist chauvinist policy, they are trying to stop the international investigation with cunning proposals to have a local investigation. It is not possible for any government in Sri Lanka to carry out a local investigation on war crimes and crimes against humanity. This is the reality. Now-a-days the international community is very well aware of what happens to local investigations and commissions appointed by various governments since 1956. In such a situation, how could the international community agree to the local investigation that this interim regime is proposing with a hidden agenda? There are many international NGOs, human rights defenders, ambassadors and journalists waiting to clear their doubts about the present interim regime in Sri Lanka. Therefore, we call upon this regime to organise a public briefing in the forthcoming 28th session in the UN HRC. If that takes place, in the presence of the international community, we will also get a chance to clear our doubts. I am writing this piece to straighten the record. Otherwise, some elements may ask in years to come, why I never protested, if that news item was fictional. In conclusion, “The dog barks but the caravan moves on”. It has been moving for the last two and a half decades, and will continue to move until it finds justice for the victims. Now we are in the 21th century. There are ways and means to accomplish our task.